It would be a terrible understatement to claim that superheroes have flooded theaters and television sets alike in recent years. 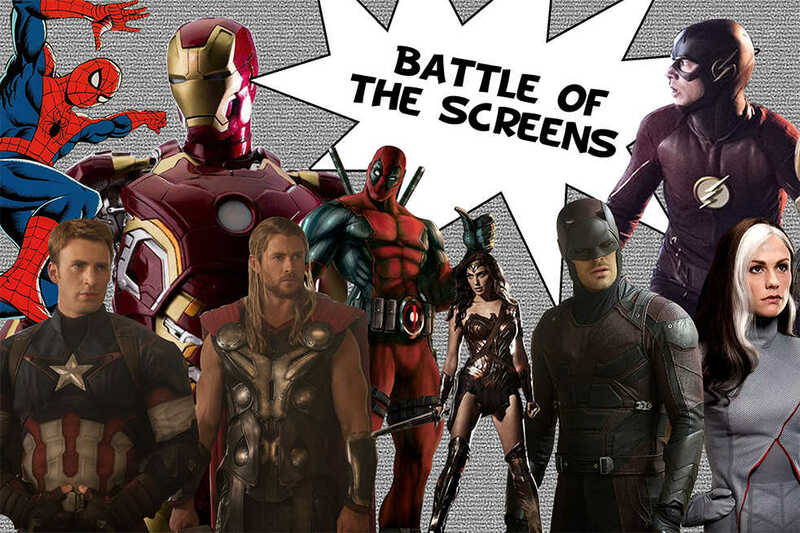 While many are debating which of the age-old rivals is superior — DC Comics or Marvel — a less subjective issue has presented itself. There are undeniable differences between seeing a movie in an expensive theater with an extravagant sound system and seeing a meant-for-television show once a week in the comfort of one’s own home. Even though television shows normally have lower budgets than full-length movies, DC’s multiverse is attempting to change the lower graphics quality and special effects stereotype that comes with shows. Their most recent addition, “Legends of Tomorrow” features several superheroes (though less naturally inclined to save the day, so perhaps a better term would be super-humans) with powers incapable of being expressed without visuals beyond the capability of simple acting. While some shortcuts have clearly been made, such as making Ray Palmer’s (Brandon Routh, “Superman Returns”) Iron Man/Ant-man combination suit, the Atom, shrink to a mere undetailed blur or humanoid speck on the screen, the overall quality of the three main cross-over filled television shows (“Arrow,” “The Flash” and “Legends of Tomorrow”) is commendable. The money and time saving tactics leave the show with more implied action and allow for more elaborate plots and character development. Marvel’s movies, on the other hand, deliver intricate CGI in their installments but needed to release individual movies for each character, save for Hawkeye and Black Widow, who are more simplistic to introduce since they lack superpowers. A single movie introducing their entire team would be left with little time for a villain who does more than rain on an icebreaker game, though Marvel would, judging by their past success, find a way to make “Icebreakers: Avengers Edition” humorous at the very least. This brings to light that one of the best deciding factors (movie or show) currently seems to be the depth of a story’s villain or villains. In the X-Men movies, the bad guys are either the Brotherhood, who are attempting to destroy humanity because mutants are better, or humanity, who are trying to destroy mutants because they are dangerous. The logic does not go much farther than this. In many of the Spider-Man movies, the villains are either simply insane or just one day woke up and decided to make other people’s lives miserable. In the world of television, the antagonists have more motivation. In “The Flash,” for example, Eobard Thawne (Tom Cavanagh, “Bang Bang You’re Dead”) has a rather complicated relationship with the scarlet speedster and has more of a goal than a simplistic desire to destroy. Really, it depends on the type of entertainment sought as to whether a movie or a show is called for. If someone wishes to record a story with lots of explosions, few plot twists and a concise, though temporary, ending, then a movie is the best option. If there are going to be multiple characters, complex and detailed plot and an infinite supply of problems for the protagonists to resolve, then a television series is beckoning.